Mitt Romney has tax troubles of biblical proportions. Today, the republican candidate for president told WBNS that he finds the controversy over his tax records “kind of amusing.” What this statement means is perhaps that in no way, shape, form or fashion is Romney going to release his tax returns. In spite of Romney’s position on the issue, 11 members of the republican party, including Rick Perry, have joined democrats in the call for Romney to release more tax returns. They would like this issue out in the open so that a healthy debate about the economy can continue. Clearly, the former governor is dug in and apparently won’t give in to anyone that demands he releases his tax records before 2010. 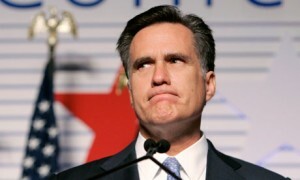 The position Romney has taken appears to many to suggests that he has something to hide. And if he does, then he’s probably better off keeping them out of the public eye. This is especially true when you realize how his opponents are using the only return Romney has made public. Helderman takes the argument further when she highlights a statement made by Rebecca Wilkins, senior counsel for federal tax policy, who said, “The campaign has never told us why he had a Swiss bank account.” The implication is made clear when you understand that “Swiss bank accounts are only useful when used illegally,” writes Helderman. The fact is that many American taxpayers have put some of their income in Swiss accounts in order to hide the money from the Internal Revenue Service. When you add this knowledge to the fact that Romney has had Swiss accounts since 2003, and as Helderman points out, “In 2008, a whistleblower at the bank informed the IRS of thousands of accounts being operated by American clients to avoid paying U.S. taxes; it is possible that Romney may have been involved with the “special tax amnesty program” that gave American citizens who agreed to pay limited penalties, amnesty and anonymity. You see, just with the release of his 2010 tax returns, there is already speculation arising from information contained therein. And as if these new speculative theories weren’t enough, Republicans are beginning to join the chorus, asking their 2012 presidential candidate to release more years of his tax returns. In particular, George Will, Bill Kristol, Rupert Murdoch, Haley Barbour, Matthew Dowd, Rick Tyler, Gov. Robert Bentley of Alabama, John Weaver, Pete Sessions, former RNC Chairman Michael Steele, and technically speaking Romney’s own father have all come out to urge Romney to disclose returns from past years. Then we have Alabama Gov. Robert Bentley telling ABC in an interview that Mitt Romney should release his tax returns in order to show voters that he has “nothing to hide. It’s a “distraction,” Bentley said, that democrats were successfully exploiting. Even former RNC Chairman Michael Steele, called upon Romney to release additional returns reasoning that it would put democratic attacks to rest. One of the more interesting and perhaps most persuasive arguments urging the Republican Presidential candidate to release tax returns dating back beyond 2010 is perhaps George Romney according to Jonathan Capehart in an article written for the Washington Post. The argument posits that upon Romney’s public position that he’s proud to follow in his father’s footsteps, and yet his refusal to make multiple years of his tax returns public equates to a serious contradiction. Capehart points out that prior to George Romney’s run for President, candidates only gave out general information about their finances. However, George Romney’s decision to release 12 years of actual tax returns changed the political landscape. Thus, how could Romney make such and incompatible statement, suggesting that he is proud to follow in his father’s footsteps and yet refuses to honor a tradition that his father is honored in history to have done. It just doesn’t add up. Perhaps McCain found something in those returns that made him dismiss Romney as a viable VP choice. The problem, however, is if Romney stays the course without releasing his returns, he could end up like George Bush Sr. when he ran for reelection. Remember his famous statement? “Read my lips, No New Taxes.” I’m afraid that Romney may just do what a number of political analyst are predicting, and that is snatching defeat out of victory.